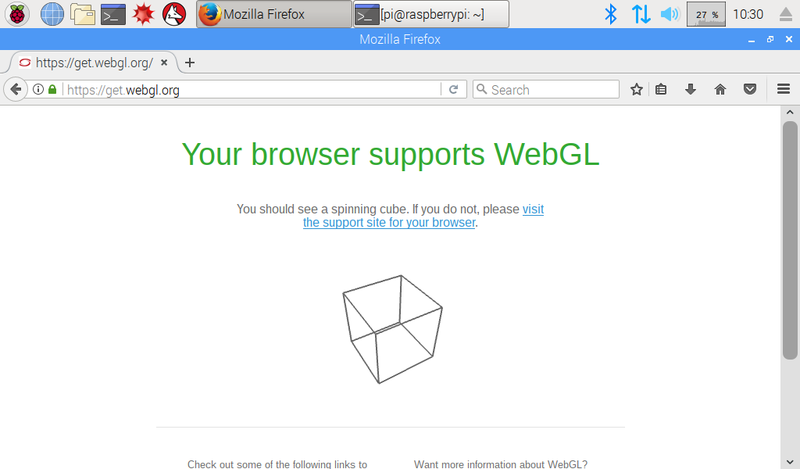 I have a problem with WebGL on Raspberry Pi 3's Chromium browser. I did the settings required but nothing happened. 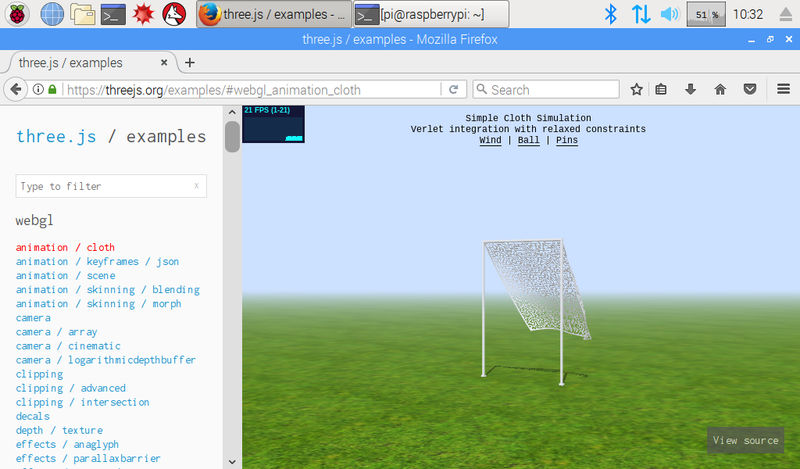 I tested the same websites on firefox iceweasel. but @eric-anholt say this should not have important effects. 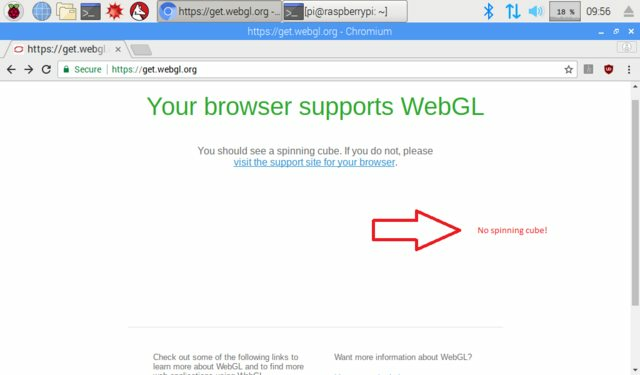 is all you need to do to get the https://get.webgl.org cube spinning. 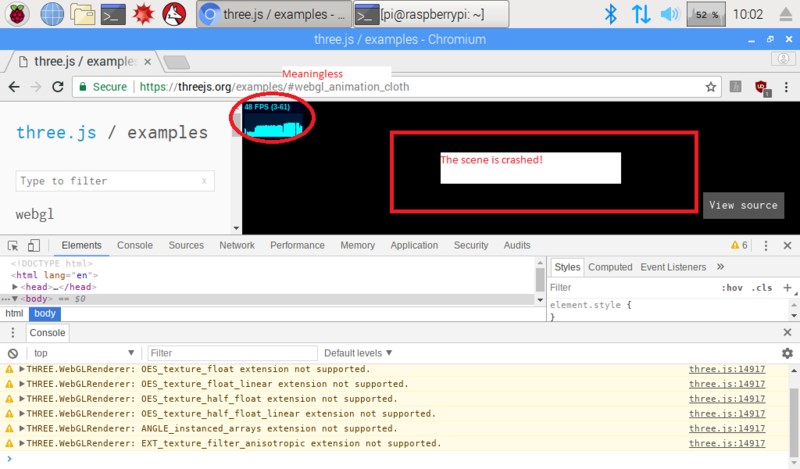 So you might wanna try something similar for Chromium. In the meanwhile, use Firefox if you can, and check the link here discussing blacklists on WebGL, you may also want to report this as a bug to the developers. I found that the following works for "Raspbian GNU/Linux 9 (stretch)": To find out which version you have type "cat /etc/os-release" in a terminal. Console: sudo raspi-config Under "7 Advanced Options" / "A7 GL Driver" pick "G2 GL (Fake KMS)"
Desktop: Preferences / Add Remove Software search for "Chrome" and pick "WebDriver driver for the Chromium Browser", click "OK"
Not the answer you're looking for? Browse other questions tagged chromium gpu or ask your own question.